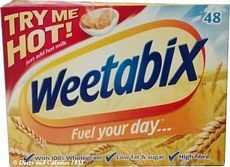 Diets and Calories: How Many Calories in Weetabix? 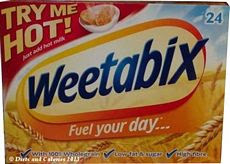 Weetabix have long been seen as a healthy breakfast cereal to start the day. Made from whole grains, they're high in fibre with low sugar, fat and salt levels. But over the past few years, the Weetabix family has been growing. 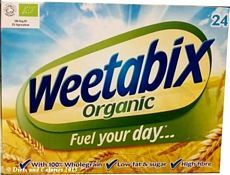 The Original Weetabix were joined by an Organic version with similar nutrition. 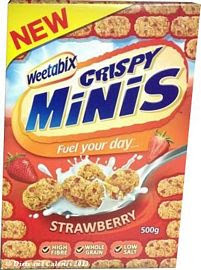 Then along came the juniors in the form of Crispy Minis. These have added ingredients such as fruit and nuts. They're much sweeter which means they have more calories than the original version. 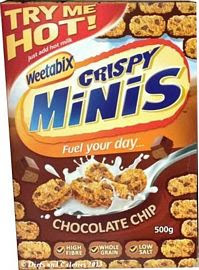 But next, horror of horrors, Weetabix started putting chocolate in its ingredients. So what’s happened to the health value of your Weetabix. Are they all as healthy as each other? What about that chocolate? 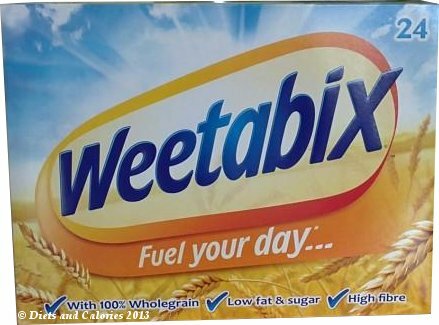 Has Weetabix now become a unhealthy, high calorie breakfast cereal? You may be surprised at the results! Weetabix says its trademark breakfast cereal accounts for 7% of UK cereal sales, with annual sales of £101m. 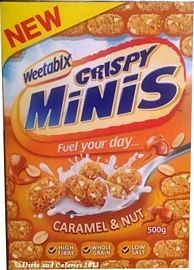 This is no doubt helped by the introduction of a wider range of Weetabix cereals. 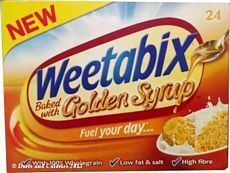 But if you have concerns over whether all Weetabix are as healthy as each other, I've put together some charts so you can easily compare the nutritional values of the Weetabix varieties currently on sale in UK stores. 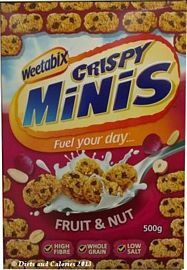 Note this doesn't include other Weetabix branded cereals, such as Oatibix or Readybrek.